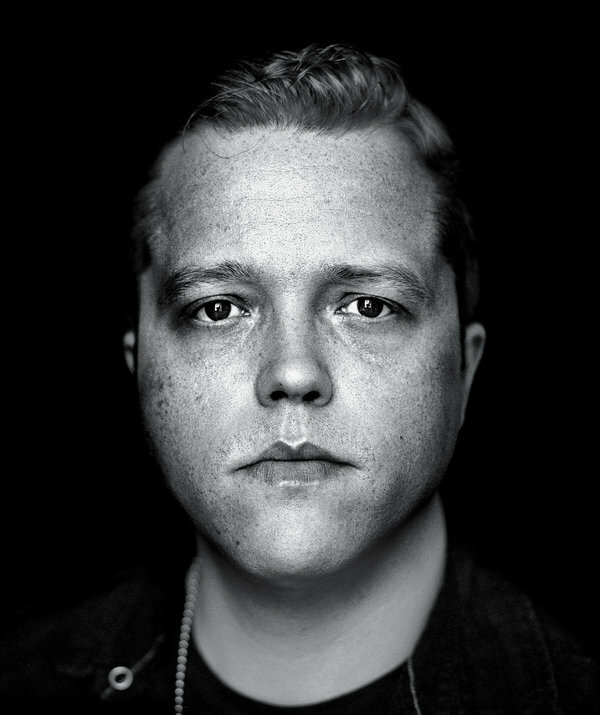 Great profile on Alabama's own Jason Isbell, who has a great new album out, Southeastern. New York Times piece covers his growing up, his time with the Drive by Truckers and his recent success at getting sober. Except: "His resurrection began when his single, “Alabama Pines,” won Song of the Year at the 2012 Americana Awards, which honor the kind of rebellious and pared-down roots music that used to be called alternative country. “Alabama Pines” is pure Isbell: elegiac and self-lacerating. “I can’t get to sleep at night, the parking lot’s so loud and bright,” the song’s narrator intones from a motel room. “The a/c hasn’t worked in 20 years/Probably never made a single person cold/but I can’t say the same for me, I’ve done it many times.”"
I've been somewhat skeptical about the promotion of technology as the solution to problems in education. But we ought to keep an eye on Piedmont, Ala. 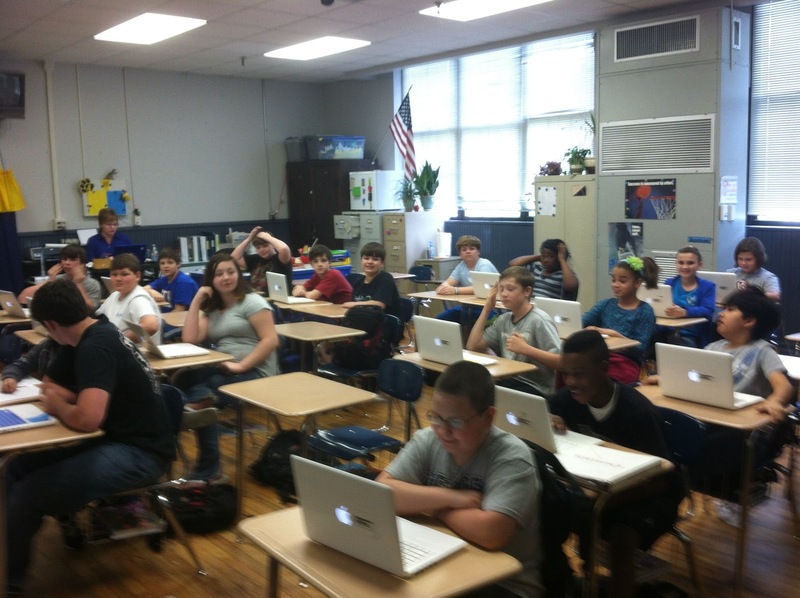 In a new piece for the PARCA Perspective, we profile Piedmont's MPower program which not only provides every student in grades 4-12 with a MacBook but also provides every student with high speed Internet at home at school and everywhere in Piedmont. Apparently, Piedmont has its own utility company and it hung fiber optic cable all around town, thinking they'd need it someday. They hadn't found a use for it until the school system came up with and idea and a federal grant to get set up a system using that fiber optic cable as the backbone of a citywide Wi-Fi system, which students can use for free. They are early on in the experiment. Switching from textbook-based instruction to the MacBook/Internet adventure has had its challenges. But Piedmont is posting some impressive scores on various performance measures. In the latest PARCA Quarterly, we look at what appears to be a contradiction: a low unemployment rate but a relatively small increase in total jobs. 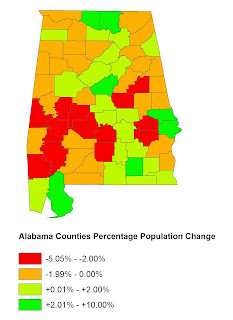 And how does that relate to the fact the state has only modest population growth compared to regional peers. That is particularly true among Alabama's larger cities. Also included is a rundown on enforcement actions taken against governments for providing false or misleading financial information. That includes numbers published outside of official disclosure documents. 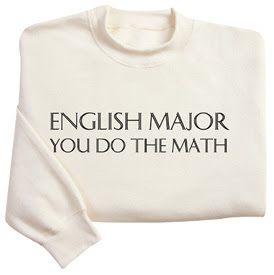 You would think that we English majors could come up with an persuasive defense of our field of study, but we've mostly just moaned about it. At the link below, VERLYN KLINKENBORG of the New York Times begins making our case against the prevailing tyranny of immediate utility. Excerpt:: "What many undergraduates do not know — and what so many of their professors have been unable to tell them — is how valuable the most fundamental gift of the humanities will turn out to be. That gift is clear thinking, clear writing and a lifelong engagement with literature." The situation: "In 1991, 165 students graduated from Yale with a B.A. in English literature. By 2012, that number was 62. In 1991, the top two majors at Yale were history and English. In 2013, they were economics and political science. At Pomona this year, they were economics and mathematics." Interesting piece on the variety of factors that may be causing the weight gain. (cites research from UAB). Ecerpt: "Consider, for example, this troublesome fact, reported in 2010 by the biostatistician David B Allison and his co-authors at the University of Alabama in Birmingham: over the past 20 years or more, as the American people were getting fatter, so were America’s marmosets. As were laboratory macaques, chimpanzees, vervet monkeys and mice, as well as domestic dogs, domestic cats, and domestic and feral rats from both rural and urban areas. In fact, the researchers examined records on those eight species and found that average weight for every one had increased. The marmosets gained an average of nine per cent per decade. Lab mice gained about 11 per cent per decade. Chimps, for some reason, are doing especially badly: their average body weight had risen 35 per cent per decade. Allison, who had been hearing about an unexplained rise in the average weight of lab animals, was nonetheless surprised by the consistency across so many species. ‘Virtually in every population of animals we looked at, that met our criteria, there was the same upward trend,’ he told me." Excerpt: "As the Civil Rights Movement was unfolding across the US in 1963, the entire nation had its eyes on climactic events taking place in Southern cities like Birmingham, Ala., and Jackson, Miss. But there's a stark difference between how the national press covered the events in Birmingham and how Birmingham's papers covered their own city. As part of NPR's series on that pivotal summer of 1963, Audie Cornish traveled to Birmingham, Ala., to revisit some of the stories that shaped the city and the nation at the time. She spoke with Hank Klibanoff, co-author of The Race Beat, about coverage of the Civil Rights movement 50 years ago." Op-Ed in the New York Times from Ben Raines, now the executive director of the Weeks Bay Foundation, a nonprofit promoting the protection ecologically-invaluable land along Mobile Bay. Excerpt: "The money will mostly be split among the states and a new entity, the Gulf Coast Ecosystem Restoration Council, composed of state and federal officials. There are already plenty of ideas among the states for spending the cash, including constructing a sea wall around the city jail in Mobile, Ala., and deepening shipping channels. 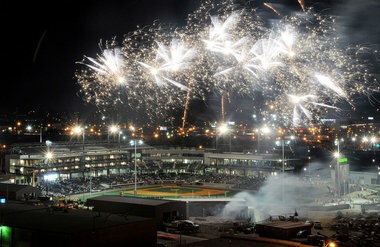 Biloxi, Miss., is using money already given to the state by BP to build a baseball stadium. Here’s another idea: the states and the council should require that a nickel of every dollar they control be used to buy and protect coastal marshes and wetlands. It is the most important thing they can do to help the gulf survive the next oil spill." Earlier this month, I took the kids to see wide expanses of Cahaba lilies blooming in the shoals of the river at the Cahaba River National Wildlife Refuge. If you’ve never been, you must (more pictures here). 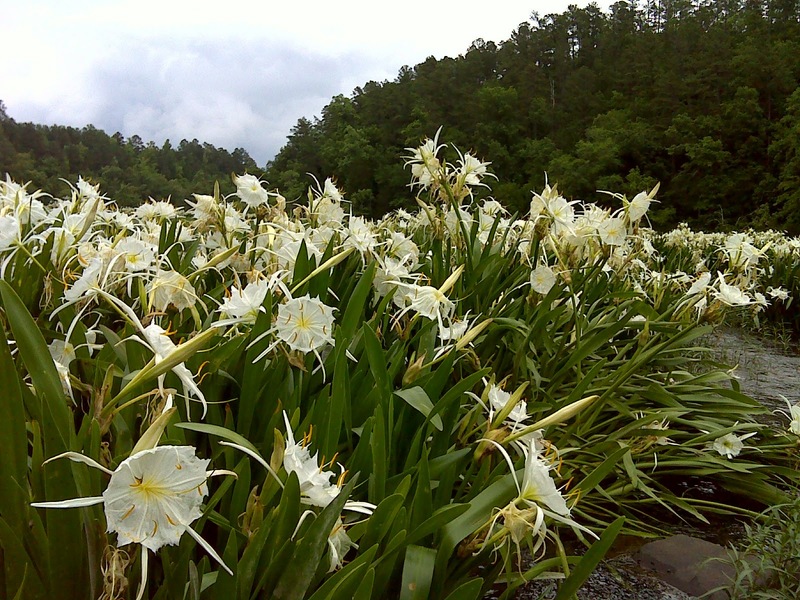 Go between Mother’s Day and Father’s Day, the lilies’ blooming season. It is a glorious sight to behold. It is one of the handful of things that makes our little corner of the earth truly special. With that in mind, I’d like everyone who reads this to consider giving back to the river that offers so much to us by supporting the Cahaba River Society. 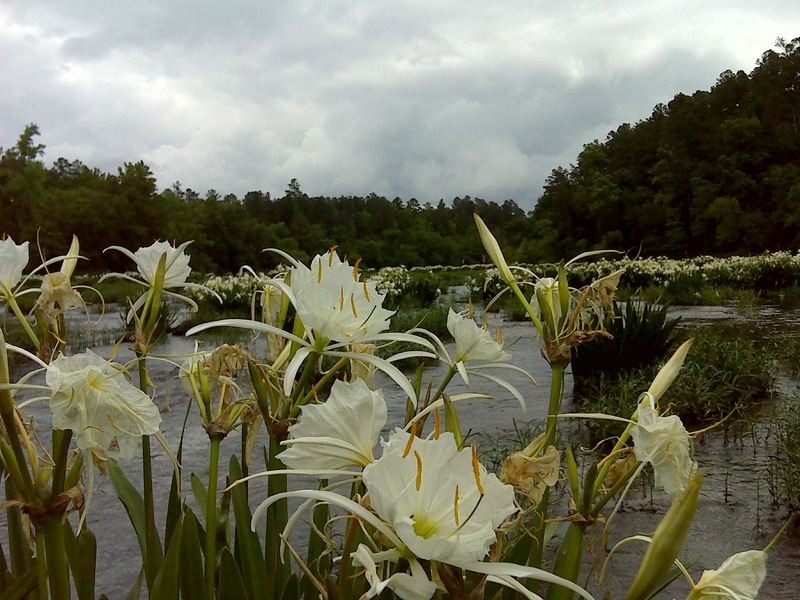 The Refuge is in Bibb County, down the Cahaba’s stream from some of the fastest-growing, most intensely developed parts of the state of Alabama. It’s downstream from where we draw from the Cahaba the water we drink from our faucets. It’s downstream from the sewage plants that treat that water and return it to the river. It’s downstream from the great transportation arteries and wide expanses of parking lots where we drive and work and shop and where the rain is rushed back to the river in tubes and pipes culverts. Despite the stresses and strains, despite the punches it takes from us, the river to the south still manages to support a tremendous variety of aquatic life. 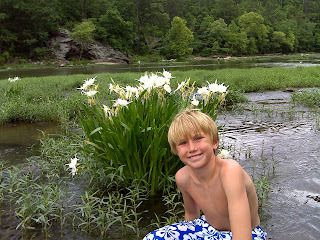 Those rare and glorious white lilies are found in more abundantly in the Cahaba than anywhere else on earth. The river supports 69 rare and imperiled species, including 10 fish and freshwater mussel species listed under the US Endangered Species Act. There are more fish species per mile in the Cahaba than any other similar -sized river in North America. But that abundance is decreasing with the increased load of sediment the river now carries, caused by the alterations we’ve made to landscape. 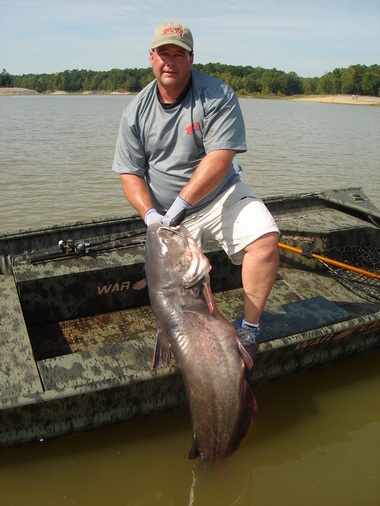 The Alabama Department of Environmental Management classifies much of the river as impaired. As I looked out on those lilies, as I looked around and saw people swimming and fishing and sunning, I was struck with a feeling of urgency: what can I do to help see that this place survives? 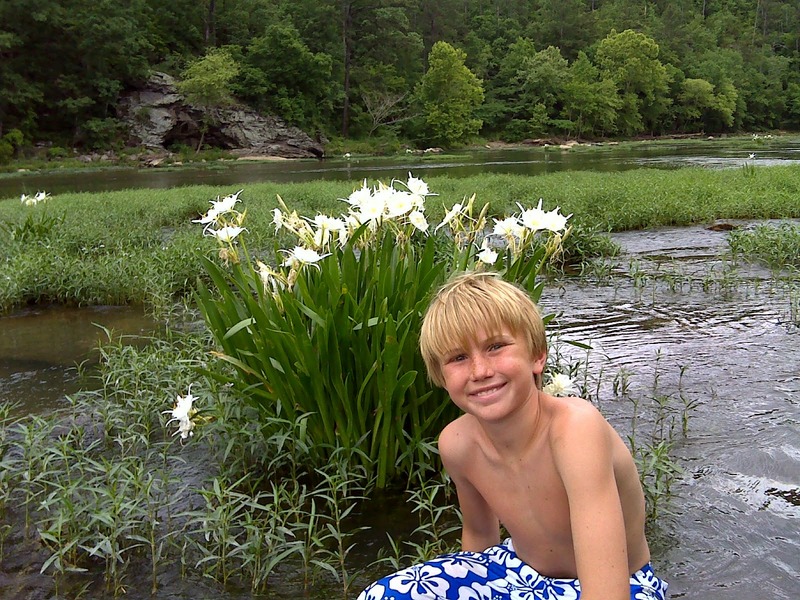 What have I ever done for the Cahaba, considering all it has done for me? It has provided a lifetime of drinking water. It carries away the floodwaters from points as far north as Clay and from and creeks like Shades Creek in my neighborhood. It offers easy canoeing, just minutes from my house with beauty around every bend. It even provided the setting in which I proposed to my wife. When I left my former job covering environmental issues for The Birmingham News, I was invited to serve on the board of the Cahaba River Society and I accepted. During my years as a reporter, I was obligated to listen to all sides of the debate and do my best to fairly portray the arguments. Throughout that experience, I found the positions advanced by Cahaba River Society’s representatives to reasonable, balanced and based on sound science and economics. It’s a viewpoint that needs to be heard in the debate over how we shape our community, a voice that speaks up for the preservation of this vital shared resource. Right now, the next phase of development is beginning along the river. About 6,000 acres, stretching from approximately Trussville to Leeds, is slated for development with new homes and businesses. All of that is upstream from where we draw our drinking water. The City of Leeds, its council and mayor, will have a host of decisions to make that will influence what impact that development has on the river. I’m confident that the partners in the development will make a strong case for their plans and will present proposals that they believe are protective of the Cahaba. I will not likely attend a Leeds City Council meeting to judge for myself, but I feel better knowing that the representatives of the Cahaba River Society will be there, speaking up for the interests of the river, the interest of all of us downstream. Anything put in the river upstream has to be cleaned out of the water before it’s piped to our homes for drinking. The more sediment that is in there, the more expensive it is to clean. The development of that area will have positive consequences for the jobs and the economy, but the river will feel its effects. Water falling on pavement isn’t absorbed by the earth and gradually returned to the river. It, instead, speeds back through gutters and culverts and spills into the river with increased velocity and volume, raising the risk for flooding and erosion of creek banks. There are ways to develop that minimize the impact to the river and those are measures CRS has been advocating for in Leeds and throughout the region. Too often environmental issues are turned into an “us against them” conflict, setting up a false dichotomy between development and responsible stewardship. One of the reasons, I came to respect the CRS is that their work goes far beyond the debates over environmental regulation and into realm of cooperative education. CRS has taken a lead role in bringing to Birmingham emerging ideas about low impact development – an approach to building that mitigates the impact on the environment. In many instances, these new approaches are not only environmentally beneficial but they also cost less than conventional building practices. CRS works directly with builders as an educator and advisor on incorporating these techniques into design and construction. CRS is not just about this weighty and serious stuff. It’s about enjoying the river, getting wet, recreating and learning. To get an idea of the full spectrum of its activities, read the annual report. You can float the river on one of the regularly-scheduled, guided paddle trips. There is the annual catfish frying competition, the Fry-Down. There’s the Cahaba River Ramble, a 5K and 10 mile run in the spring at the Refuge. The Society supports an extensive river education program that gets kids wet with river knowledge. I may sound preachy here, but I personally think that everyone ought to at least be a member of the Cahaba River Society. That’s just $35 a year for an individual, $50 a year for a family. If you have the money to do more, consider being a donor or a patron or beyond. This is an organization with six people on staff, a very modest budget that does so much for so many. "The All-America City distinction is a well-deserved honor for the City of Birmingham," Fred McCallum, president of AT&T Alabama and 2013 chairman of the Birmingham Business Alliance, said in a joint statement with Bell. "This validates to the world what people in Birmingham already know -this is a great place to live and work - and it will be a useful tool to entice companies to relocate and expand in our region." From The New Yorker: Alabama national champion in craft beer growth! 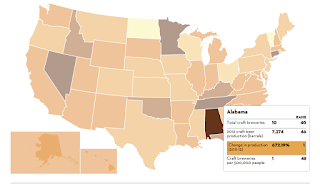 .... from 2011 to 2012, annual production grew faster in the South than just about anywhere else, with the fastest-growing producers including Alabama (first out of all fifty states), Tennessee (fifth), Florida (seventh), and Kentucky (eighth). Other rapidly growing producers include Minnesota, Nevada, and Oklahoma. Thanks to Wells Fargo for really making a whack at the privet today at Red Mountain Park. Despite the poor mouthing about their abilities expressed in the article below, they really hit it hard. Volunteers 'on the attack' against invasive plants at Red Mountain Park, recipient of $50,000 in grants (photos) | al.com: Wells Fargo and the Forestry Commission each awarded the park $25,000 to support efforts to control invasive species and restore the native ecosystem. The $50,000 in grants will be used to acquire equipment and otherwise support the park's efforts. An al.com piece on suburban sprawl in Mobile. The big sprawl: Mobile's population isn't growing so much as moving west | al.com: The move to the exurbs, a demographic term for outer-ring suburbs, has had far reaching consequences. It has put pressure on government finances. 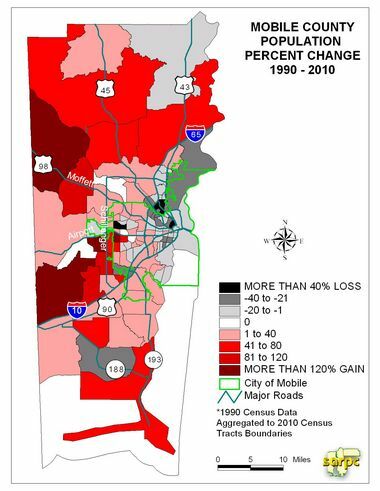 And, because of the nature of suburban development, the migration has radically altered the human environment in which residents live, transitioning many from an environment where walking and biking is possible to an environment where car ownership is a necessity. Nice Jay Reeves piece on a Dekalb County community Twister heals Ala. town fractured over immigration. Excerpt: Oddly enough, it was the twister, with its 125 mph destructive winds and home-wrecking fury, that began bringing the two groups together, even as it tore much of what they owned apart. Steven L. Jones, Jr., an associate Professor in the Department of Civil, Construction & Environmental Engineering at the University of Alabama, has asked me to share this opportunity with individuals that might be interested in participating in a research study to promote sustainable transportation in the Birmingham-area. According to Steven, the results of this study can help identify transportation needs of people in and around Birmingham and help transportation providers and decision makers better understand how to meet these needs. Participating in this study involves completing a brief web survey that will take only a few minutes. All answers are confidential and no IP addresses are recorded. Only summarized data will bereported or presented by the researchers. If you are interested in contributing to improved transportation in Birmingham, please take the survey at the link below. And please feel free to pass this request on to your friends and contacts on LinkedIn, Facebook, Twitter, etc. The more responses we get, the better we understand your needs. Nice Piece by Chuck Dean on the Opening of the Schoolhouse Door. Nice Slideshow of images too. Excerpt: "For so long, it's gone down in a negative way, it's gone down in the way we portray that event as a 'stand in the schoolhouse door.' The press picked it up that way, which to me was a negative," said Jones. "What I was hoping and hoping will happen .... is that we celebrate the opening of the door, not the stand, not the attempt to close the door." E. Culpepper "Cully" Clark, whose 1993 book "The Schoolhouse Door: Segregation's Last Stand at the University of Alabama" is the definitive account of the history of the event, said that in the long run Jones' hope has been realized. "There is no debate that because of what Vivian and Jimmy Hood did that June day fifty years ago that Alabama – the state and 'The University' – became better places to live and learn," said Clark, who spent 30-plus years at UA teaching and in senior administrative positions before leaving in 2007 to become dean of the University of Georgia's Grady College of Journalism and Mass Communication. 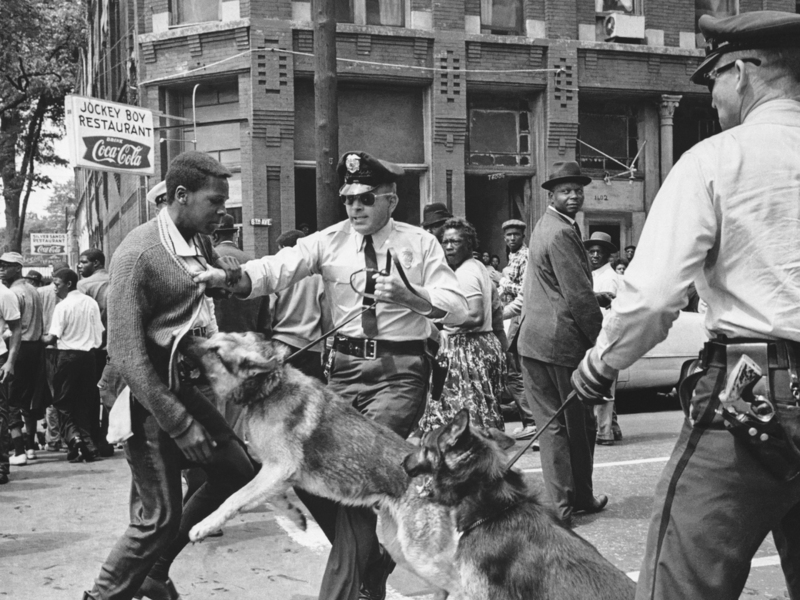 Once dying, Birmingham is suddenly hot (photos, links, poll) | al.com: Long haunted by black-and-white newsreel footage of the fire hoses and police dogs city leaders turned on blacks demonstrating for civil rights, the city has a new vibe that's generating buzz all its own 50 years later. Four more Alabama trails have been added to the National Recreational Trail System, a national database of urban walks, wilderness hikes and floatable waterways. The additions were among 28 added nationwide. The new trails include walks at the Turkey Creek Nature Preserve in Pinson and the network of new mountain biking trails on Forever Wild's Coldwater Mountain property outside of Anniston. The program is administered by the National Park Service and the U.S. Forest Service. The trails and their listings are maintained by state and local government as well as nonprofit partners, notably American Trails, which hosts the national recreation trails website. The designation bring attention to trails and offers opportunities from technical assistance and advice from the federal partners. Over the past several years, Alabama has been particularly successful in getting trails designated thanks to the efforts of Rob Grant, the Recreational and Conservation Programs Manager at the Alabama Department of Economic and Community Affairs. Turkey Creek Nature Preserve Trail System - Three nature trails totaling 2.13 miles showcase the unique beauty of Turkey Creek Nature Preserve in Pinson. The paved Highland Trail provides walkers and bicyclists a moderate climb through the Highland Forest; the easy Boy Scout Trail takes hikers past some of the most scenic reaches along the banks of Turkey Creek; and the Thompson Trace offers some of the best opportunities for wildlife viewing. The Forever Wild Coldwater Mountain Trail System - Located within the Forever Wild Coldwater Mountain Doug Ghee Nature Preserve and Recreational Area in Anniston, 11.5 miles of trail provide beginner, intermediate, and advanced experiences for mountain bikers, trail runners, and hikers. The International Mountain Bicycling Association’s Trail Solutions team designed the trails for maximum interest and long-term sustainable use. Harvest Square Recreational Preserve Trail System - At the Land Trust of Alabama’s Harvest Square Recreational Preserve in Northwest Madison County, 2.3 miles of trail invite hiking, biking, running, nature viewing, and service. Boy Scouts cleared trail and installed benches for their Eagle Scout projects. The longest trail was developed and is maintained by the Sparkman High School cross country team. The preserve is home to deer, turkey, raccoon, fox, beaver, and a variety of amphibians and reptiles. Phenix City Riverwalk - The 1.2-mile Phenix City Riverwalk offers bike riders, fitness enthusiasts, runners, and strollers a variety of settings. From the 3,000-seat amphitheater overlooking the Chattahoochee River, to sections shaded by great tree cover, to open areas, the trail is a great location for enjoying entertainment, viewing wildlife and whitewater, and soaking up southern sunshine. 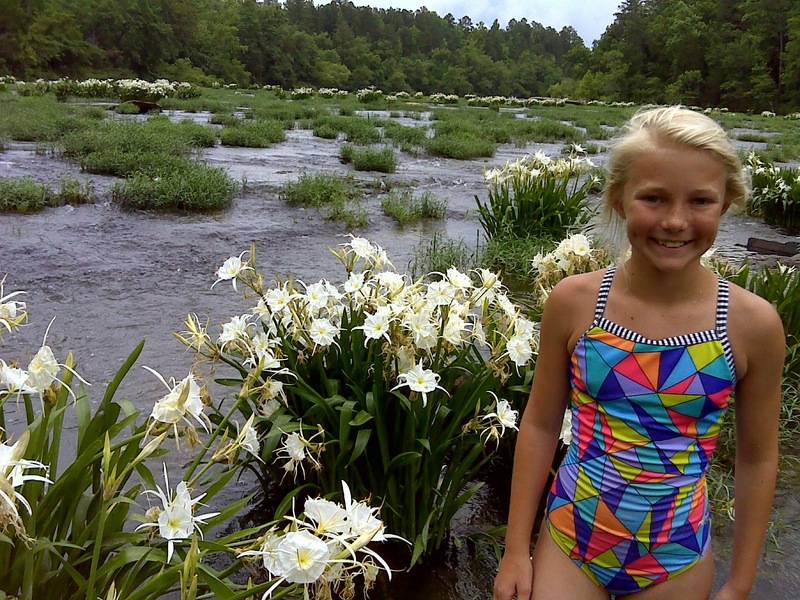 Consider visiting your Alabama State Parks this summer. In many cases they've been greatly improved in recent years but the system is under strain. Stateline - National and State Parks Suffering From Budget Cuts: National and state parks will be open for business this summer, but it won’t be business as usual: Washington’s sledgehammer budget cuts and fewer state dollars will result in overflowing trash cans, closed visitor centers and fewer Junior Ranger programs. Many vacationers will tread on runaway invasive plants, wait in long lines at park entrances and miss out on campfire talks. 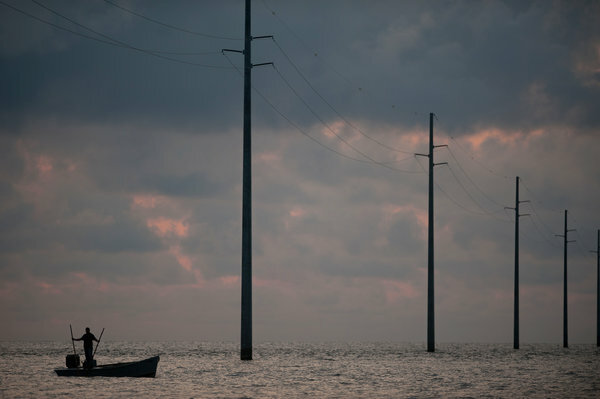 Thirst for Fresh Water Threatens Apalachicola Bay Fisheries - NYTimes.com: researchers found this year that the lack of fresh water had made it nearly impossible for the bay to bounce back as it typically does after stressful events. Last year, the Apalachicola River reached its lowest level and stayed there for nine months, a record. While the oysters face the most immediate threat, environmentalists and lawmakers said the diminished flow has other far-reaching consequences on Apalachicola’s $6.6 million seafood industry. It could affect some of Florida’s most popular catches, including grouper, snapper, blue crab and shrimp, which early on feed and grow in the estuary’s perfectly calibrated mixing bowl of salt water and fresh water. Alabama's Birding Trails : The eight Alabama Birding Trails unify existing and potential birding sites into a series of cohesive trails and loops that are collectively marketed as part of a state-wide system. Many of the sites along the various trails are already being used by thousands of birders and other visitors annually. This website has really nice information on statewide network of birding trails.